Versatile, efficient and compact, they combine the numerous beneifts of CO₂ laser technology with Gravograph's complete know-how. Laserstyle™ software allows fast-paced work. The advanced features simplify specific engraving procedures (barcodes, photos, dials, multi-plates, rubber stamp wizards, etc.). 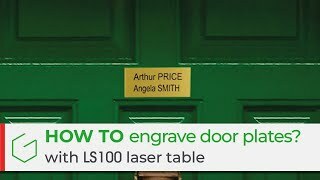 Defintion, storage and use of engraving parameters at the click of a button!